I’m not going to lie, I was pretty bummed that the course was short yesterday but after a bit of feeling bummed I decided to look at it like I hit a new pr (for 2.86 miles;) instead. Or maybe I need to write a book on how to really run the tangents well during a race because somehow 3.1 miles turned into 2.86 miles because of how well I angled my running on the turns. I kid. 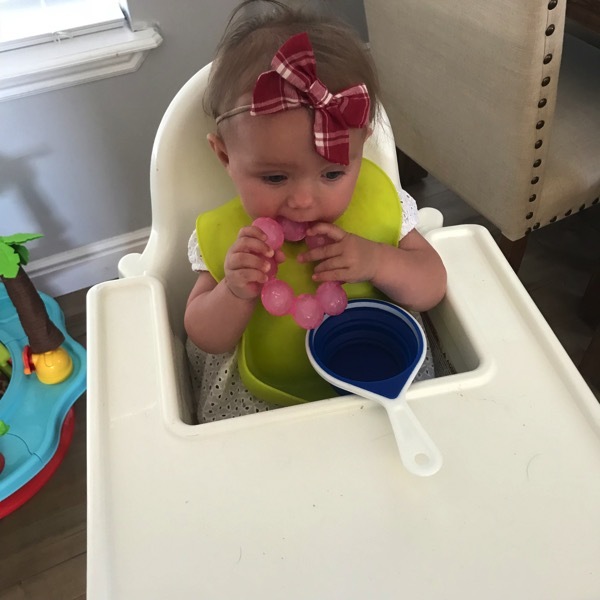 The Skyester is currently teething (and it breaks my heart… those teeth are so sharp coming through her gums) so I was up with her a few times Monday night (Andrew was not feeling great at all) but then got up out of bed at around 6:20 a.m. and got out the door pretty fast. Both girls ended up sleeping in until about 20 minutes before I got home from the race so it worked out nicely. I drove over to the starting line area, ate my jam sandwich in my car and drank 32 ounces of water. Then I went out for a 2 mile w/u and my body was feeling cranky but like I said last week, I’d be more worried if my body wasn’t feeling that way during the warm-up because that is what always happens for me. 9:55 average for warm-up. 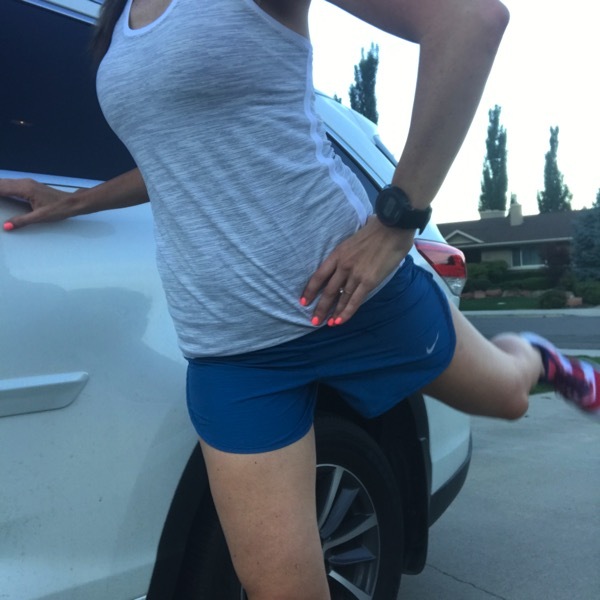 I did some dynamic drills (the ones I do are in this post) to get my range of motion going and loosen up my muscles. Next—> switch from my warm-up shoes to my speed shoes. I didn’t time everything very well so I actually finished warming up about 30 minutes before the race so I did a little tiny jog and dynamic stretches again right before the race along with taking some caffeine. 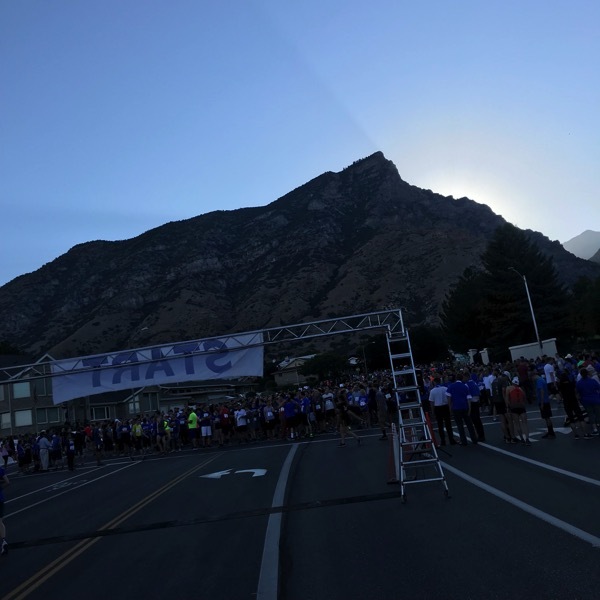 July 24th is a holiday in Utah so that is why we had a huge 5k on a Tuesday. 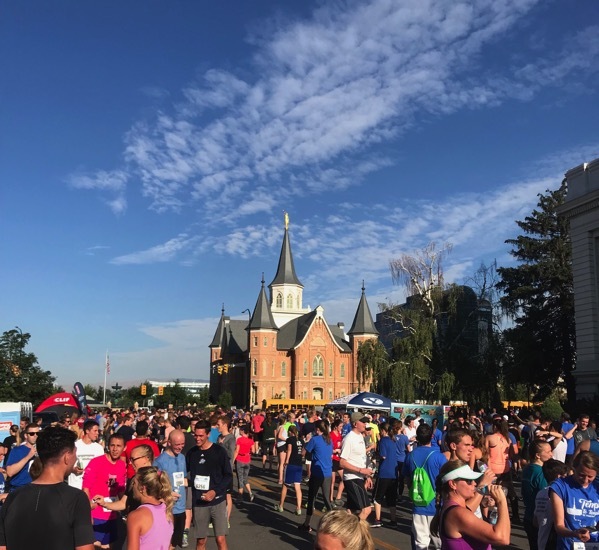 For this race you start at one LDS temple and end at another. It is the only place in the world where there are two LDS temples so close to each other in the world (there are 159 LDS temples throughout the world). The first year (this was the 6th year) they held this race they planned on 300 people doing it and 5000 people showed up ha! They asked that the people with timing chips (you had to buy those but it was free to just run the race without one) or speedsters to go out first. I had a timing chip so I went for it. It was all kind of a blur. For the first 1/2 mile I felt like I was going to throw up. I didn’t get nervous until a few minutes before the race started and I texted Andrew and my mom about it. 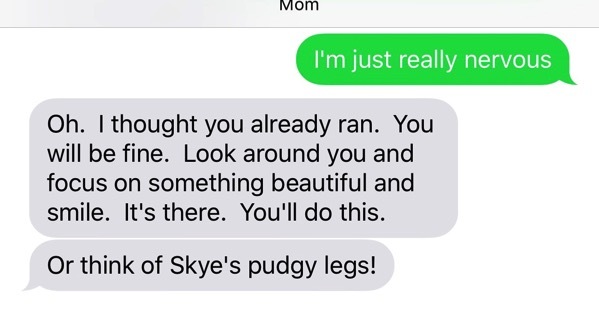 Andrew had great advice for me and I loved what my mom said about thinking about Skye’s pudgy legs. I did just that a few minutes into the race and it helped me a lot haha! The first mile is FAST! It was down until about .85 miles and I held back a bit because I didn’t want to absolutely die. I was getting passed left and right but after the first mile I was only passed by one girl (and then I passed her again a few minutes later) and did some passing of other girls so I was pretty happy with myself for going out smart for me personally. 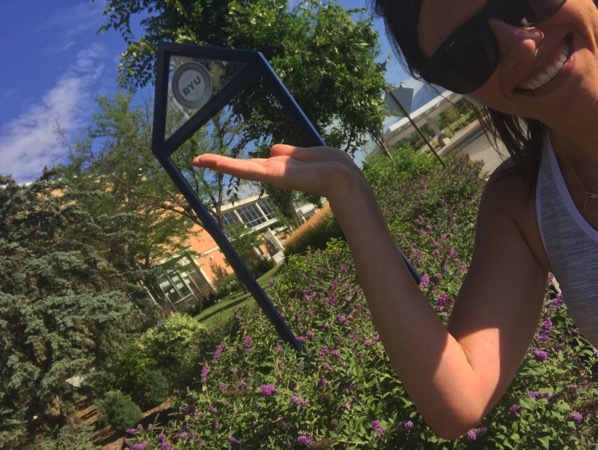 Mile #3- My coach told me to match mile #3 with mile #1 with the time but I didn’t quite get there because I was holding back a bit thinking the course would be 3.1…. 6:04 average pace for the .86 miles. 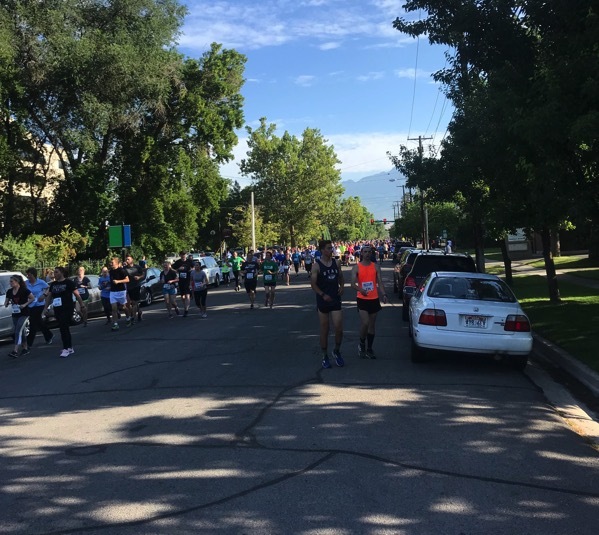 The race was FREE and so well organized so I can’t complain about it being short… but I wish I would have just kept running somehow by going through the finish line and then turning (the finishing shute was full of people) and running hard until my watch hit 3.1. This was my first time running the course. You turn a corner at the end and then boom there is the finish line… so I probably would have run it a little differently if I knew it was short…. Next time right?! It would have been quite surprising if I hadn’t worn my garmin and thought that I really had gone 3.1 miles according to the results they give you;) PS my friend said and her garmin read 2.86 too. She said they moved the starting line from last year for some reason and that is why it was shorter. Only 361 of us bought the time chips. I’m guessing those that did were the people that were really looking to race it so that is why it says there were 361 people at this race in the results. I was 2nd overall for the women with timing chips but I do know there was a total of 3 women ahead of me total (I watched the finish line video:) I’ll take 4th overall. Saturday will still be a workout for me during a half marathon race. My marathon is 2 months and 11 days away from today! With each week that I am feeling more and more like myself the bigger my goals are becoming for my next marathon. Why fear failure… I want to dream big. At this point in my life one of the biggest reasons I run is for races… they are just so fun for me. I love being surrounded by all of the other runners, doing something 100% just for me and pushing myself to new levels. Just need to work on that first 1/2 mile of nerves. I saw one of my students from the high school that I used to teach at in the finish line area. She was on the cross country team that I coached so I was very happy to see that she is still loving to run. From there I ran back to my car. I forgot one minor detail—> I didn’t have my other pair of shoes to cool down in so I wore my racing flats for the cool down. 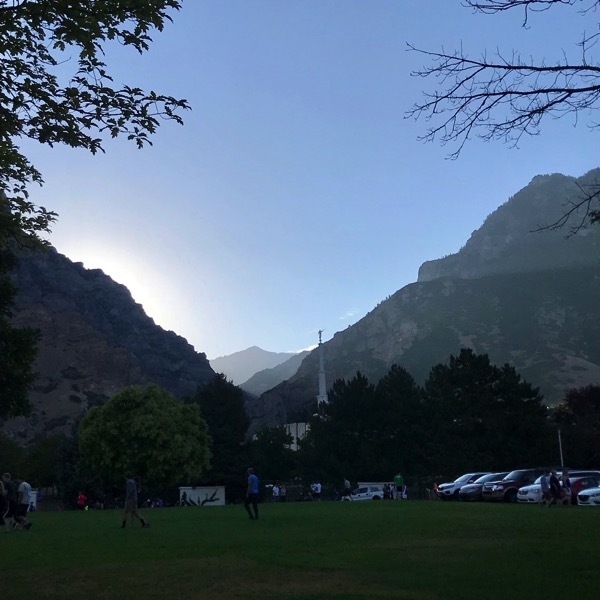 I took it nice and easy on the way back and ran through my old stomping grounds—> BYU. 7.72 miles for the day. Please do not judge me too harshly but McDonalds fries were CALLING my name. So after I had a protein bar, these beauties made it into my life. I am about to make a big statement here—> I think McDonalds french fries are better than all other french fries. I was texting my brother about the race and how it was short but too bad that 17 minutish 5k wasn’t real for me because I would have beat him! 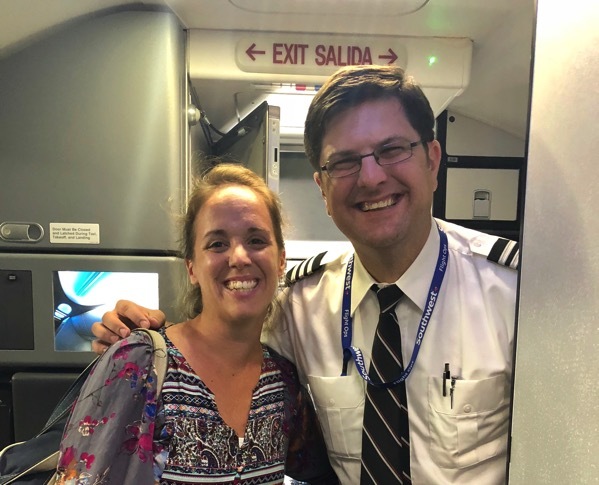 PS reader Katharine met him on his flight yesterday! He was one of the pilots for her Southwest flight to Boston. Make sure to always check if my brother is your pilot on Southwest because he says it makes him feel really cool in front of his crew when people know him. 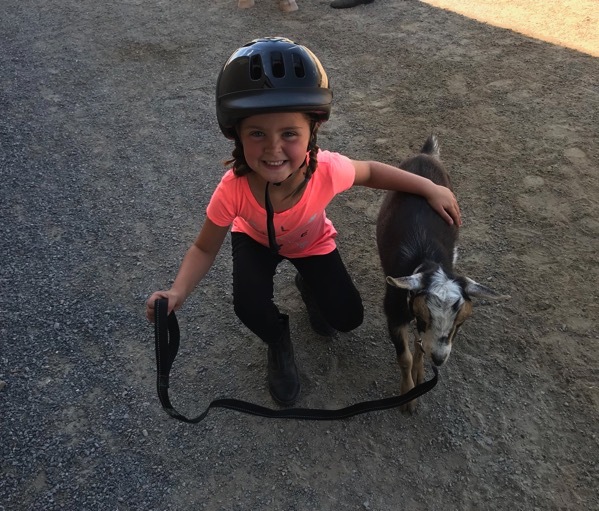 A goat on a leash. Lots of time in my OOFOS (I SWEAR BY THESE, my feet are so much happier now) and my Roll Recovery R8! Knox came over early so we got to hang out and go see fireworks with him! 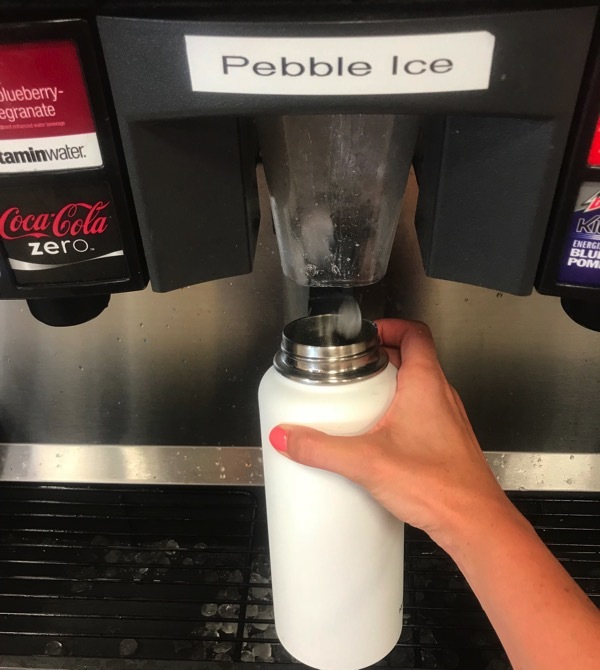 Also, does anybody else go to gas stations sometimes just to get pebble ice? I LOVE this stuff. I need a pebble ice machine. Where do you think the best french fries are from? Ever had a race that was cut pretty short? Any other pebble ice fans? I like chewing on them after the water is gone! What is your next race? FILL ME IN WITH THE DETAILS! Short races hurt the soul, I feel you so much on that one. 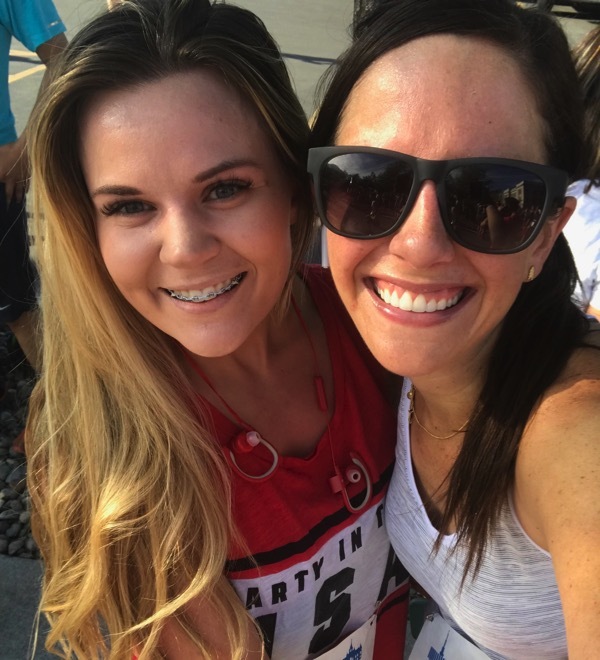 I think fitness wise you should be pretty pumped with your performance even though it wasn’t the 5k you wanted, since you have a good baseline from workouts and your still-stellar performance at the race. 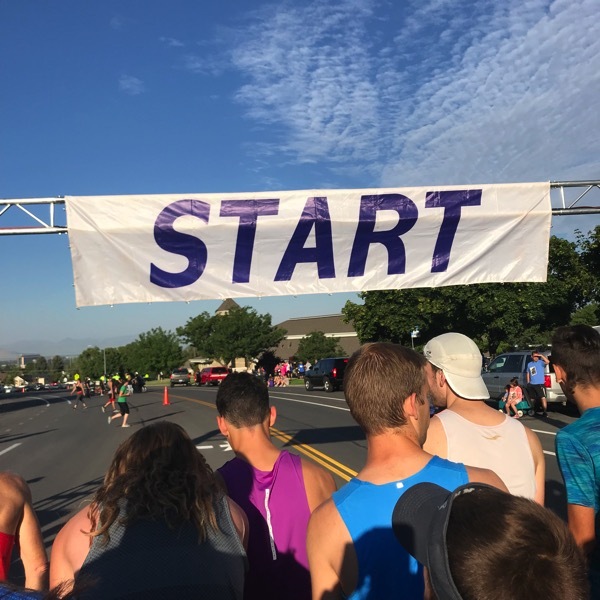 That is easier said than done, but as an outsider with a fiance as a running coach for college athletes, he would be saying the same thing – you’re fit as heck, I think your next race you are gonna be super surprised (in a good way) by what you run. 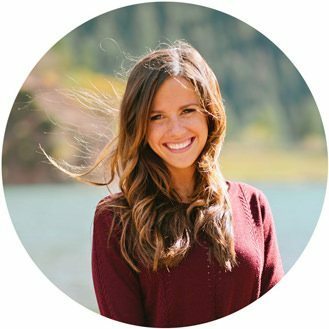 Kaytlin, thank you so much for what you said… that sure made me feel pretty cool. “Fit as heck”–> wahoo! Thank you! Several years ago, I ran a marathon that was about .2 miles short. I felt so awful for potential BQ’ers in that race because the course was certified, but the setup crew misplaced a turnaround marker. They fixed it during the race, but the speediest runners had already passed that point. Congrats on your fast 4.61K!! What a confidence boost to feel that good while still having some “in the tank,” anticipating the few extraK. Go Mama! Thank you so much Corey! Ouch about the marathon… yeah that would be a huge bummer because it’s a MARATHON! I hope you find those fries again, they sound perfect. Have a great day Corey! Even though the race was short, you did SO awesome, Janae! I’m proud of you, girl!! All of your hard work is definitely paying off, and I can’t wait to see how your marathon goes!!!! McDonald’s fries are actually really good, but I think that I might like Chick-fil-A fries best. Whataburger fries are up there, too, though. Dickey’s BBQ also has some really tasty waffle fries! I have a race in October that I’m training for (it will be my first actual race in pretty much two years because of my kidney surgeries last year), and I’m really excited/nervous already. But I think I want to race a 5K in August or September just to see what I can do. Oh thank you so much girl! Oh Chick-fil-A fries are amazing too… especially with their sauce. You have me craving all of those fries! 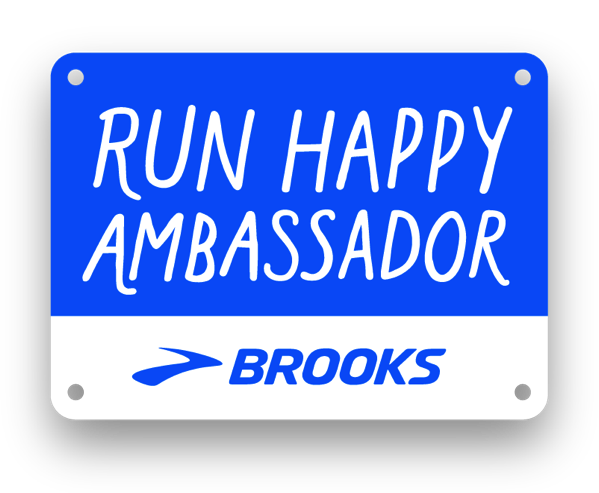 I AM SO EXCITED FOR YOUR RACE IN OCTOBER and I totally think you should do a 5k before then:) You will rock it girl! 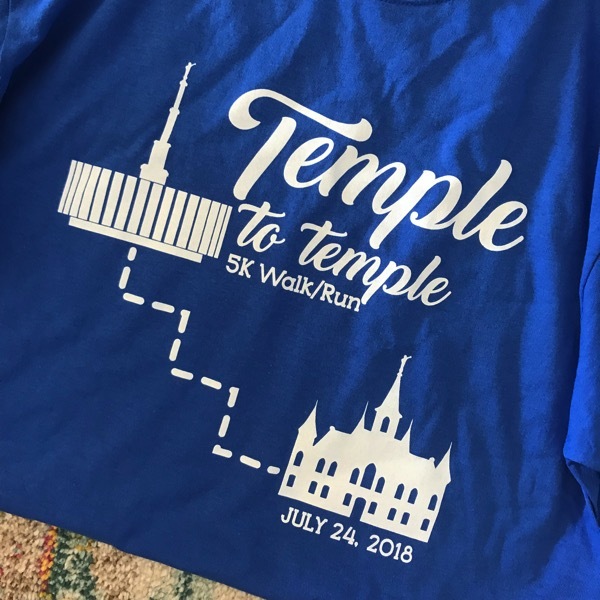 I did a 5K earlier this year that was short… but it ended up being like 2.4 miles. I had done the same race last year and it was the full 3.1 distance but I guess they changed the course this year. I remember the finish line coming into sight and being so confused because I knew I had just passed the 2 mile marker. When I checked my Garmin I was bummed but what can you do! Hey Kristina!! It is shellac and I don’t remember the name but it had Coral in it:) I love it… enjoy your appointment tomorrow, that’s my favorite. Okay, 2.4 miles… that is crazy short! I’m glad they fixed things this year. Have a beautiful day girl! 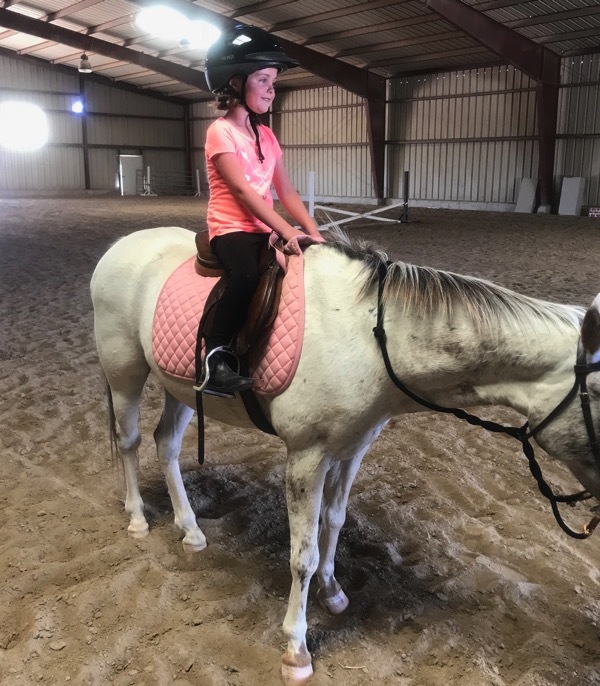 Great write-up Janae! Thank you for the nice long post :) Love hearing your updates. I am sorry the race was short – it is so disappointing when you train and you really want to see what you can DO . I remember training for a triathlon and the swim portion is really where I was excited to see my progress. There was some algae over-growth in the place we were supposed to swim and the swim was cancelled so it turned into a bike and run. The good thing is that there are a lot of 5Ks (I think?) so maybe you could give it another shot in a few weeks after your half (although your coach might have other ideas. ha!). I go overboard on race recaps haha! Oh thank you Amanda! THE SWIM WAS CANCELED… that is a way bigger bummer. 1/3 of the race was gone! You are right and that’s what I’ve been thinking… now to ask her:) Have an amazing day! Oh that is SO disappointing Erica! BOOO!!! COURSES NEED TO BE PERFECT!! I hope your day is a great one! HAHAHA this just made me laugh so hard. I like you. I hope your day is a great one Amy! THAT IS AN AMAZING PR!!!!! you go girl ! :). I think you have a knack for 5ks! In complete agreement about the French fries.. I always steal a few out of my kids happy meals when they’re allowed to have them and they are salty & wonderful!! You totally earned them! Oh thank you so much! Glad I’m not alone with the Mcdonalds happy meal… there is just something so amazing about them ha. Have an awesome Wednesday Sarah! YES!!! In my house we call it turd ice (not sure why cough* cough* kids) but now that I’m pregnant in the heat of Texas I’m loving trips to Sonic just for that ice! You can get a whole bag there if you have one near you. Congrats on a great race! I’m hoping to start running again now that I’m in the second trimester. I had all hopes and dreams of having a “healthy” pregnancy but dang…the sickness and exhaustion is no joke. I have so much admiration for you and how you ran so consistently throughout your pregnancy with two little ones in the house. 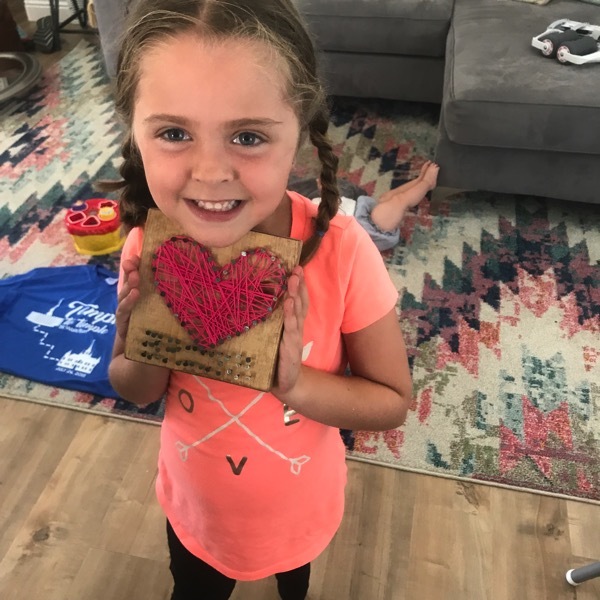 My stepkids have been with their mom all summer so I’m extremely grateful to have gone through the sick phase without having to be stepmom at the same time! Love following your sweet family!! Bummer that your race was short but those paces are amazing! And it sounds like you had some energy left in the tank at the end so that’s great! 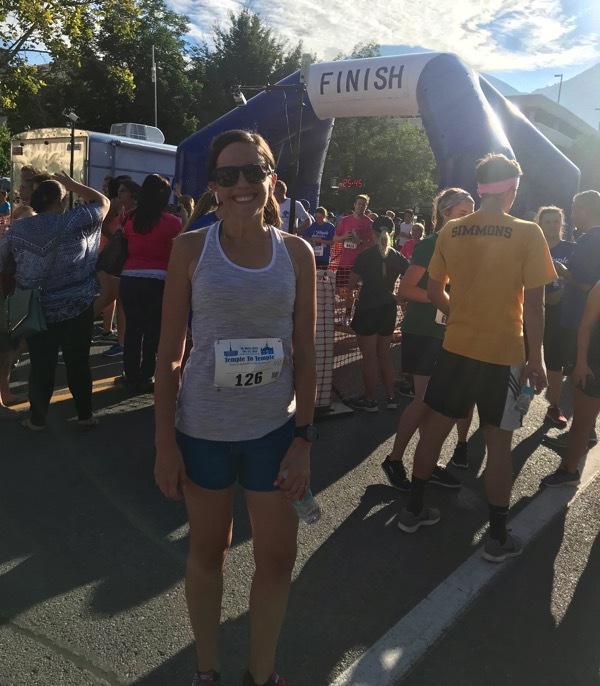 I never had a course that was short, but I did have a 5k where the course was long once! It was the only race ever that I decided not to wear my garmin and just to use a regular stop watch and run by feel. I was running through neighborhood streets that I wasn’t too familiar with and kept seeing the total time on my watch go up with no view of the finish line in sight! I finally saw it and finished much slower than I thought I would only to then hear other runners talking about how the course was long. Turns out the leaders took a wrong turn and everyone followed and we added an extra K to the course! The race organizers ended up calling it a 6K in the official results- so now I have a 6k PR haha. Also I am totally with you on McDonald’s fries! I feel like curly and/or waffle fries are the official best, but if we’re talking regular fries, I think McDonald’s is definitely at the top! Thank you so much Diana! OH BUMMER about the one time you didn’t wear your watch = the course being long! Way to go on that 6k pr:) The leaders took you the wrong way?!?! I hope that you get some delicious fries in your near future. I forgot about curly fries… now I need those. Have a great day! Arby’s curly fries, best ever!!! Oddly the hospital that my husband was in has the best fries in their cafeteria. I have no idea why but they are hot crispy and delicious – everything a fry should be. My dentist is a friend of mine and flips when I mention I chew ice. It can put tiny cracks in your teeth. There is something satisfying on that crunch though. I got nervous for the half marathon for the first time yesterday. I think mostly because I took a break while camping. But also because it’s a half and that’s long for me haha. I’m also planning on doing a 5k in September but we will see if my body wants a longer break than that. 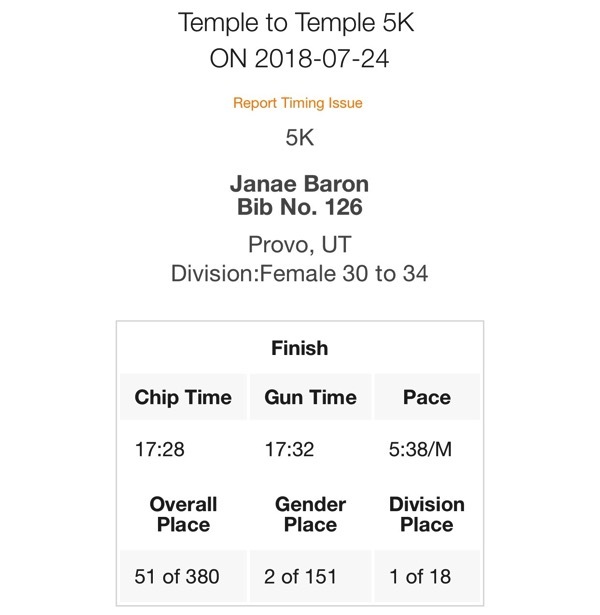 Congratulations on your speedy race, Janae! What an encouraging step on your fall marathon build up! I love crinkle cut fries and am always excited when I find a restaurant that has them. I moved to Oregon recently and, sadly, fry sauce (another favorite) doesn’t seem to be part of the food culture. I’m planning to run Twin Cities Marathon, in Minneapolis, on October 7. It’s such a beautiful course and I couldn’t be more enthused about it! Way to go on your race! It’s always hard when it’s short, but I like to go on feels for how I did and not focus on numbers so much sometimes, especially when you can’t count on the distance. So, like, sometimes I’ve felt AWFUL at the end of a race or undertrained, so I count when I feel good at the end of a race as a win. My PR 5k was “short,” however, it was only .1 short so I think it was the tangents thing. I still count it as my PR because it was a 2 minute PR from my last best, so either way it would’ve been a PR for me! Lastly, I’m so shocked you’ve never been to a race with a prayer before! I have only been to one race that hasn’t had it! Haha, but I live in the South, so I think it must just be more common here. I love that though and it really calms me (of course!) and just sets me up for a good race! Hope Andrew gets to feeling better and that you all stay well! I love fries so much, it’s hard to pick a favorite. Whataburger fries are really good when they are hot and fresh. For curly fries, I like Arby’s…too bad I don’t like any other food from there. Congrats on your random PR! I hope you can run a real 5k soon. We have prayers before a lot of races here in TX. It’s such a nice tradition and reminds you to stop and be thankful. I always get a little emotional during the prayer and the Star Spangled Banner. I think I’ve told you before, I have a pebble ice machine AT WORK! I’ve been filling up my Hydroflask before I leave every day so I have good ice during my evening runs. Janae, that is so awesome! Your dreams are all becoming a reality. What a spectacular role model you are to your family and friends. Congratulations!!! Bummer about the short course! I think it was a tiny bit short a couple years ago too, but only by 0.1 or something. And I forgot about how the finish line just pops up on you until you mentioned that. But, short or not, timing chipped or not, you rocked it! Don’t focus too much on the numbers. Just bank that feeling of knowing you were the 4th woman across the line. You can pull that up on a day when your head doesn’t want to lock into the game. :) Congrats on running fast AND smart! No hate on the McD’s. About twice a year, my daughter and I (she’s 18) are like “We need McDonald’s RIGHT NOW!” The only other fries I’ve had that top those were at some outdoor restaurant at The Groce in LA. They put truffle oil on them and holy goodness! The only meal I remember from that vacation, so yeah, they were good! I did a color run last fall with my daughter and a bunch of her friends. It was no where near 5K. I think it was about 2.5 miles. The girls were pretty disappointed….and we did have to pay for that race and clearly people were racing. Thankfully, we were not. They were just in it for the fun. Congrats on your new PR! ;) You’ll just have to keep an eye out for another 5k to give it a go! 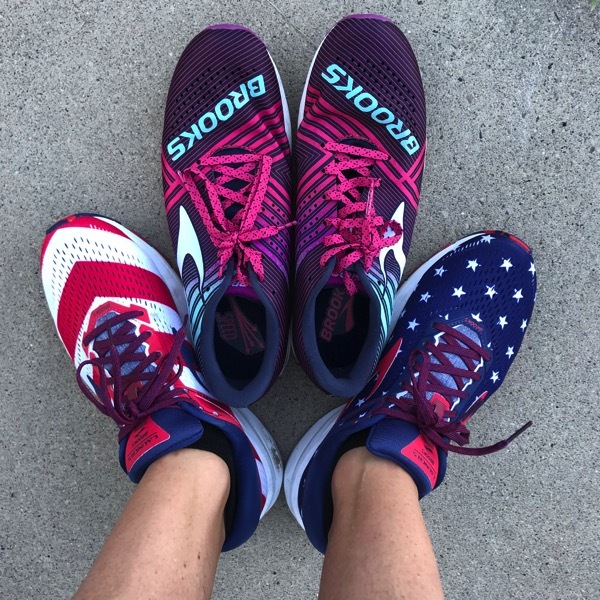 I have a 7 mile race this weekend – it’s the Bix7 in the Quad Cities and Meb is going to be there so I might have a fangirl moment if I get a chance to meet him. It draws in a few thousand people and this is my first year running it so I’m excited! It always coincided with half marathon training before and it never fit in, but I don’t have that going on right now so it’s my focus! It starts uphill which is totally fine with me – that definitely helps keep you from flying out too fast. I also run so many hills on a regular basis, I’m not too worried. Plus I’ve never done a 7 mile race at all, so this immediately gives me a new PR. 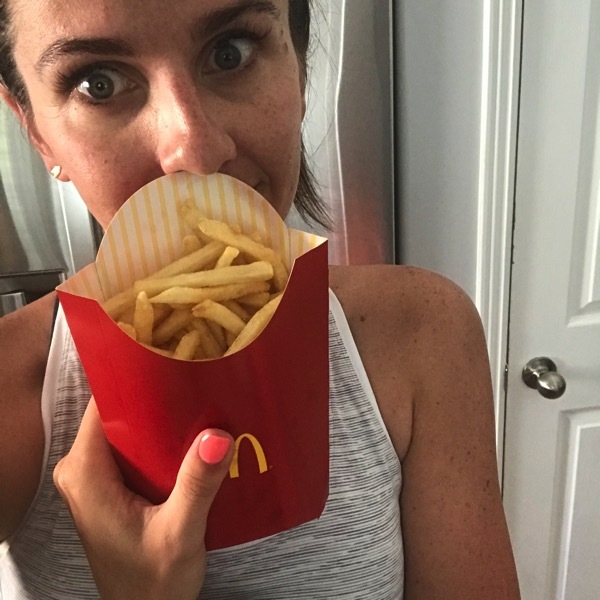 I 100% agree with you – I rarely get McDonald’s, but their fries are the BEST. That’s what I craved after my last half – they definitely tasted better then than ever before! I’m thinking of signing up for my very first half, in October! 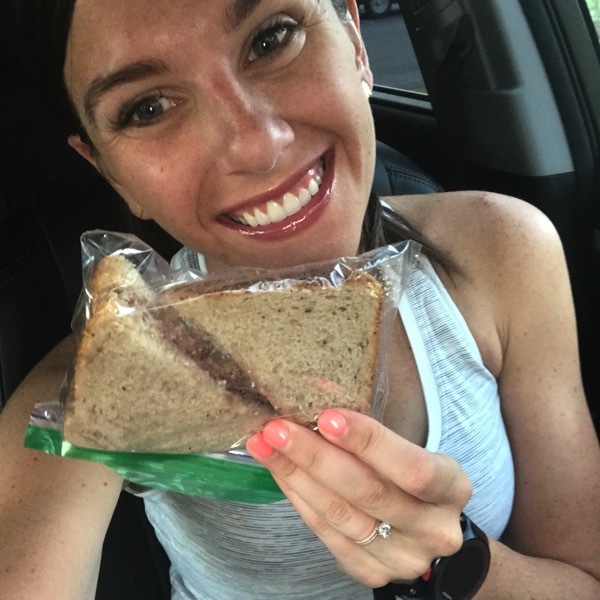 Would you recommend a trail run for a first timer??? I don’t wanna crash and burn haha but I also don’t expect to do amazingly either! I just have no idea if that’d be ok! AHHH I am so excited for you Loren! You’ll have to keep me updated on your training. 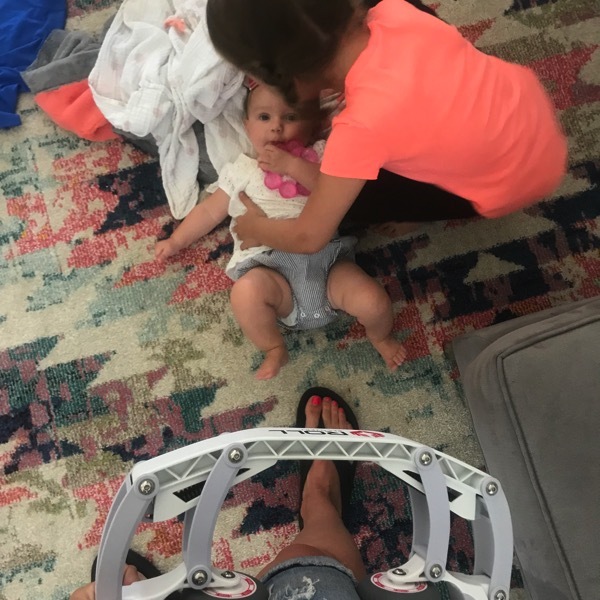 I think a trail run for your first half is a great idea… as long as you can get in some long runs on the trails and the elevation isn’t too crazy. The trail races I have done have had a much more laid back feel about them which I think would be so perfect for a first half! Just focus on completion! You’ve got this! best french fries for me would be shake shack’s – crispy krinkle cut and piping hot! i’ve not had a race that was cut short yet, they’ve typically been on point or long…! wait what was Andrew’s great advice to you when you texted them? your mom’s text is hilarious! love it. that’s a bummer you were saving your energy for the finish, only to find out it was abruptly cut short. yes, next time! but i guess if the race is free, and it’s well-manned, that’s good too. i’ve not heard of or seen pebble ice, but interesting, will be on the look out for it. I love McDonald’s fries too. I think they’re the perfect amount of salty and greasy without being too much. I’ve never run a race that was too short but I have run a race that was too long. It was the conference championship my junior year of college and everyone’s times were off by at least a minute. There were about 25-30 mph winds and then course was about .15 too long. Not to mention that they used a CANNON to start the race. It was not my favorite race but it sure has made for memories! Wow, girl!! You rocked it! Good for you. Awesome job. Hard work pays off. I’ve never heard ice called pebble ice! I love ice in my water, soda (and even milk!) and am pretty picky about the ice cubes so maybe I need to say pebble ice! 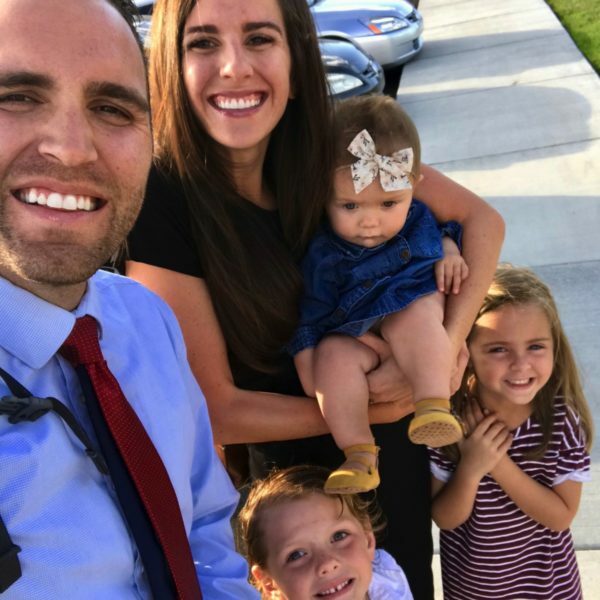 I was recently in Utah for a family vacation and what a beautiful state. I had seen many pictures from your blog over the years but to see the scenery in person is breathtaking. You’re a lucky girl! How does McDonalds make those fries? I didn’t ask you about your iron supplement in a while. It seems like you took it sporadically. Craving ice and especially crunching it in your mouth are signs of iron deficiency, fyi. I’m not sure how pregnancy and breastfeeding affect iron levels. But you were taking the supplements before…. Oh wait, you have a test for iron, right? There you go! Ah man I ran a half that was short once and I “PR’d” and was like what?! But wow you got 4th overall woman!! Out of many that says a lot! What’s your bothers name I’m flying southwest in October? Just in case that would be super fun to get a pic! 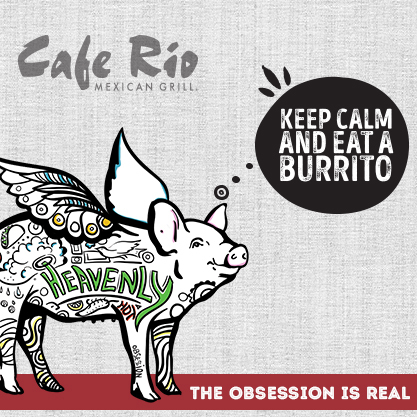 If you could eat anywhere in Provo/Orem where would you go? Top 5 works for me too hahha. I tried to search some of your favorites on the blog but I wasn’t having much luck. Have fun on your trip! Best Fries E-V-E-R 5 Napkin Burger, Hell’s Kitchen NYC!!!! Next race…. SATURDAY!!! 8 mile race and it has so many hills!! I think I almost died last year, and I must be crazy because I signed up again! Though I love McDonald’s fries, if given the choice I like Burger King more. I order the fries with their onion ring sauce and then go into a happy food coma.